First, Mars seemed to be greeting Mars Global Surveyor (MGS) with a Happy Face. Now, it seems as if the planet is sending its love with the latest picture (above, left) from MGS's Mars Orbiter Camera (MOC). 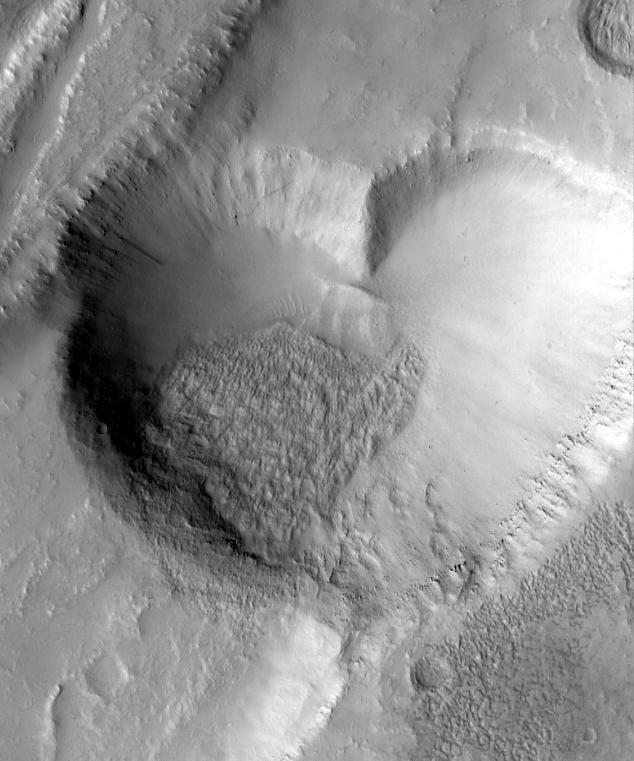 This valentine from Mars (above, left) is actually a pit formed by collapse within a straight-walled trough known in geological terms as a graben. Graben are formed along fault lines by expansion of the bedrock terrain (see "Chain of Pits on Pavonis Mons" for more information). The graben in which the pit formed can be seen in the full MOC image, depicted on the right (above). 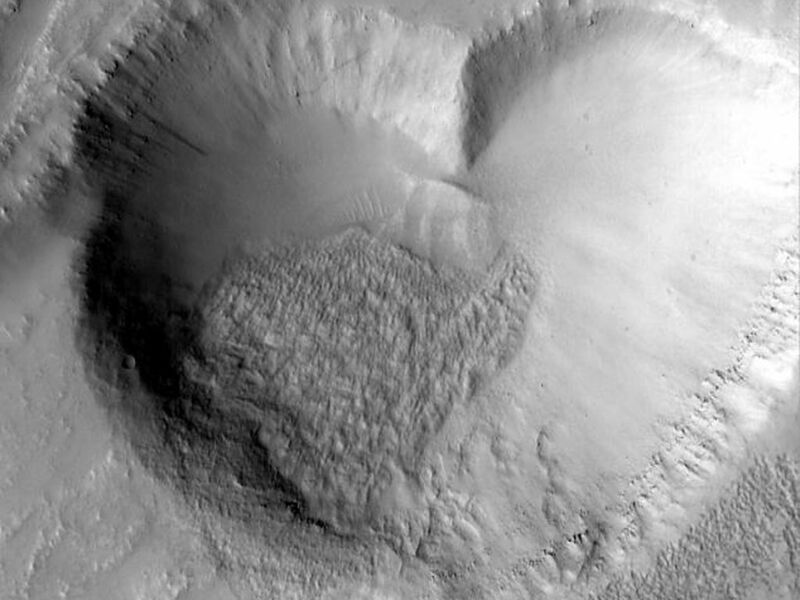 The heart-shaped pit is about 2.3 kilometers (1.4 miles) at its widest. The image was targeted by the MOC team in order to examine the relationship between a lava flow (margins indicated by white arrows, above right) and the graben and pits that disrupted and cut across the flow. 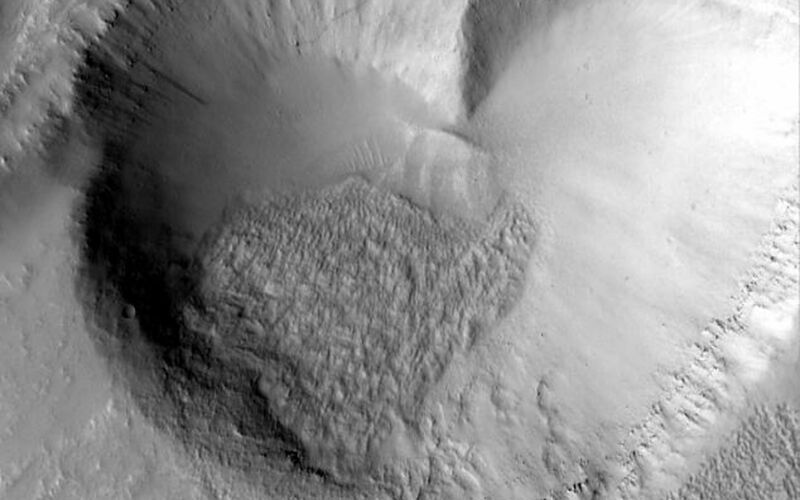 The graben, pit, and lava flow are located on the east flank of the Alba Patera volcano in northern Tharsis. The MOC images are illuminated from the left. 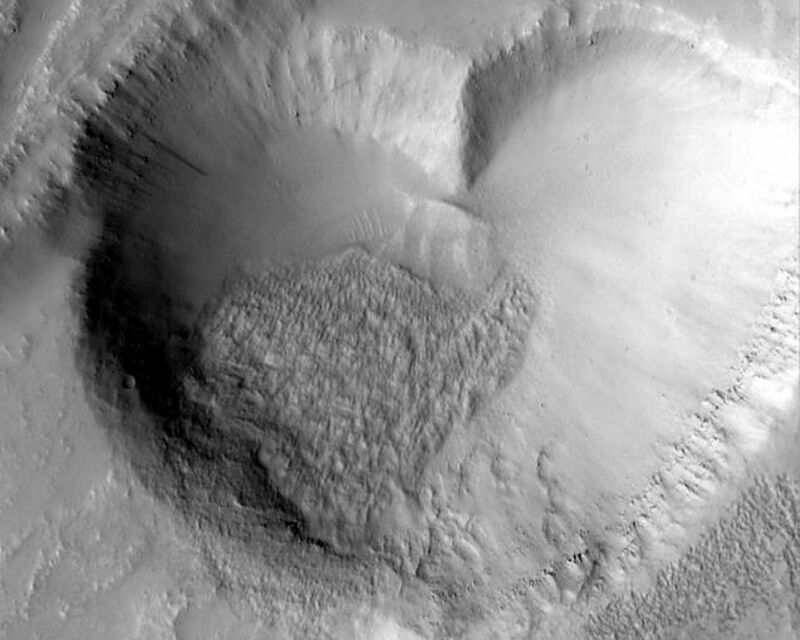 For another heart shaped image from Mars click here.